Slow cooker buffalo chicken sliders, how yummy do these look! I also saw a lettuce wrap version which looked super yummy and a bit lighter. 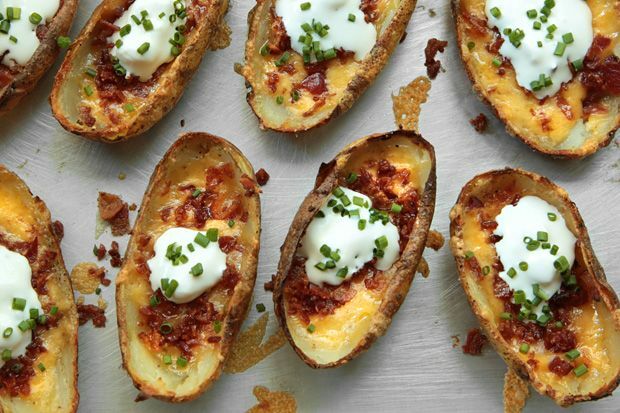 The old classic potato skins, not going all crazy and creative on this one, just keeping it simple. I am also going to mix up some seven layer bean dip and a veggie tray. What are you serving up this super bowl Sunday?